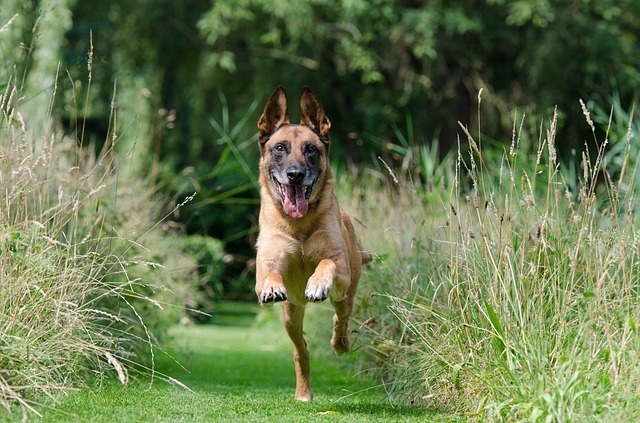 Is your dog barking, chewing, pacing, jumping, and lunging? Then, he is telling that he needs exercise. He wants to be active for feeling good. However, walking outside daily may not be practical for you always. Sometimes, it is even difficult for you to provide him enough exercise till he releases feel-good endorphins. How to Select the Best Dog Treadmill? If you are searching for a healthy, better solution, you can think about providing him a dog treadmill. These dog treadmill reviews will help you pick the best one without any confusion. 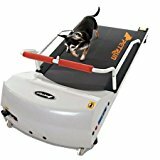 ​A dog treadmill is excellent for improving endurance, burning high levels of calories, Gaining strength, and increasing overall fitness levels. ​The gait of a dog is longer than humans, so they require a longer running belt. If you restrict this need, it will lead to joint problems in your canine friend. Higher speed settings are not comfortable for small dogs. Safety of your dog should be your primary consideration while purchasing a dog treadmill. You should consider the quality, size, features, and models while purchasing a treadmill for your dog. ​Treadmills are available in different sizes. You should follow the recommendations of manufacturer while purchasing a device. ​A dog treadmill should have high-quality components. Instead of plastic, you should select treadmills that contain powder coated steel. It is also essential to compare the warranty periods of some major components like a motor. 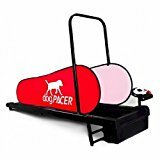 If you are a real pet lover and want to provide good exercise for your dog even in cold climatic conditions, you can surely consider purchasing Domestic Pet Dogpacer Dog Treadmill. If you purchase this treadmill, you can provide more exercise to your unruly pet. Busy lifestyle prevents you from giving daily exercise to your pooch. 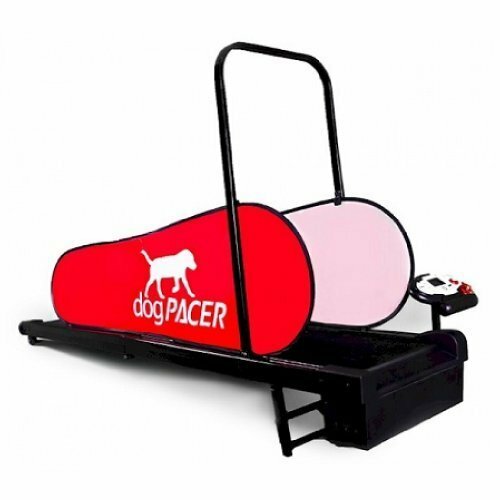 The Domestic Pet Dogpacer Dog Treadmill is created without compromising quality. It is equipped with a 1.5 horsepower motor. The running speed of this treadmill ranges from 0.5 to 7.5 MPH. You can set the incline to 9 degrees, which provide more intense training effect to your dog. This treadmill is ideal for dogs up to 120 lb weight. The manufacturer provides one year guarantee on all parts. But, the frame has 3-years warranty. Compared to the other lead expensive models, Domestic Pet Dogpacer Dog Treadmill comes with some great features. It has removable side panels, which helps to keep your dog facing forward. It has a folding, space-saving design, which is beneficial for storing the device very easily. 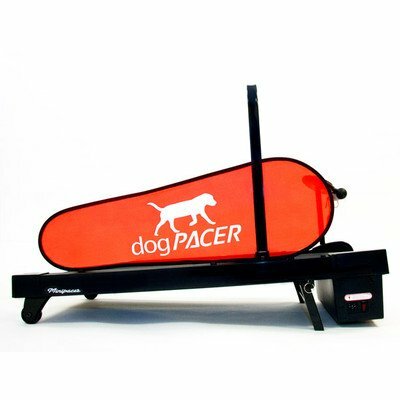 The Domestic Pet Dogpacer Dog Treadmill is ideal for keeping your pet healthy and fit always. You can prevent obesity and reduce vet bills if you provide dogPACER Dog Health and Fitness to your dog. It is also beneficial for reducing due to various outdoor elements. This particular model is ideal for smaller dogs up to 55 lbs. It comes with pre-set programs, which is ideal for keeping your dog healthy. The dogPACER Dog Health and Fitness is perfect for all types of dog breeds. This is light, sturdy and portable, so you can transport it from one place to other effortlessly. You may not have enough time to exercise your dog outside. So, this treadmill is extremely beneficial for providing enough exercise for your dog. It offers several health benefits to your dogs. Customized programs allow you to provide breed specific exercise to your dogs. The GoPet Petrun Pr700 is ideal for providing good exercise to your dogs even when the outside weather is not favorable. It has the lowest running platform, which is helpful for your dog to climb on the board easier. Thus, it is very easy for your dog to walk and run on this treadmill without shyness or fear. The GoPet Petrun Pr700 has a silent driving system that offers quiet operation. It offers maximum safety to your dog because it comes with a safety lock system and a wireless remote control. Easy storage is possible due to the air cylinder Auto-Fold design. It has dolly wheels, so you can move this treadmill very easily. Metal eyelet allows attaching toys. Speed can be increased and decreased gradually because of push button control. The PetZen DogTread is ideal for fulfilling the primary needs of your dogs, i.e. walking every day. It is designed on the basis of the learning pattern and style of your do. Thus, it is perfect for keeping your dog healthy and physically fit always. The PetZen DogTread is also ideal for protecting the endurance powers and strength of your dog. It has a one-step easy flip-bar incline adjustment, which is helpful for increasing training intensity. It offers more flexibility to your dog in terms of speed. The speed range of this dog treadmill is 0-5 mph. thus, it is also ideal for elderly arthritic dogs. 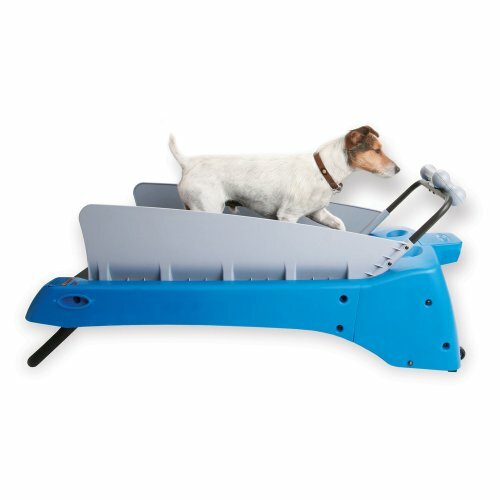 There is a feeder bowl in the top end of this treadmill, which is beneficial for preserving the interest of your dog. Adjustable incline, safety stop button, and a whisper-quiet motor are the peculiar features of this dog treadmill. Just like humans, their canine companions who live in certain climates get very less cardiovascular exercises. They skip outdoor exercises during chilly months of winter and lethargic dog days of summer. Thus, the health and happiness of your dog will be very low during these days. You can solve all these problems by purchasing the best dog treadmill. Treadmill exercise is beneficial for lifting the spirits of your dog and curbing destructive boredom related behaviors. It is also useful for keeping your dog healthy year-round. This is also the ideal way to rehabilitate your injured dog during bad weather conditions. These dog treadmill reviews will help you pick the right one for your dog.